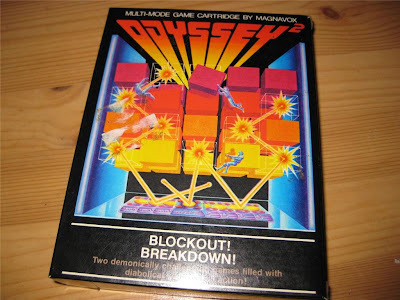 At less than 8$ this complete-in-box copy of Blockout!/Breakdown! for the Odyssey 2 is quite the bargain. It also looks really good and you can grab it here. Seller only ships to US and Canada addresses. 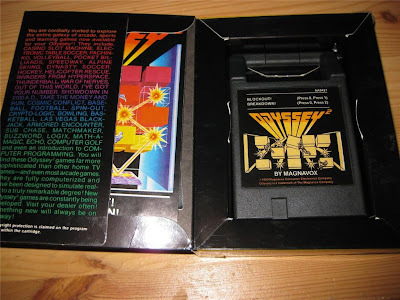 The Magnavox Odyssey2 is a collection I keep meaning to post to the Preserve - I do have most all of the games (so far as I know!) including this one, though the example you found might well be in better shape. Thanks for the inspiration to start that new post series soon! As a regular reader of Retro Treasures, I was pleasantly surprised to see my auction featured here! Thanks! And just for reference, I came across this particular Magnavox Odyssey 2 game at a local Goodwill...on a random shelf that wasn't even in the electronics section. 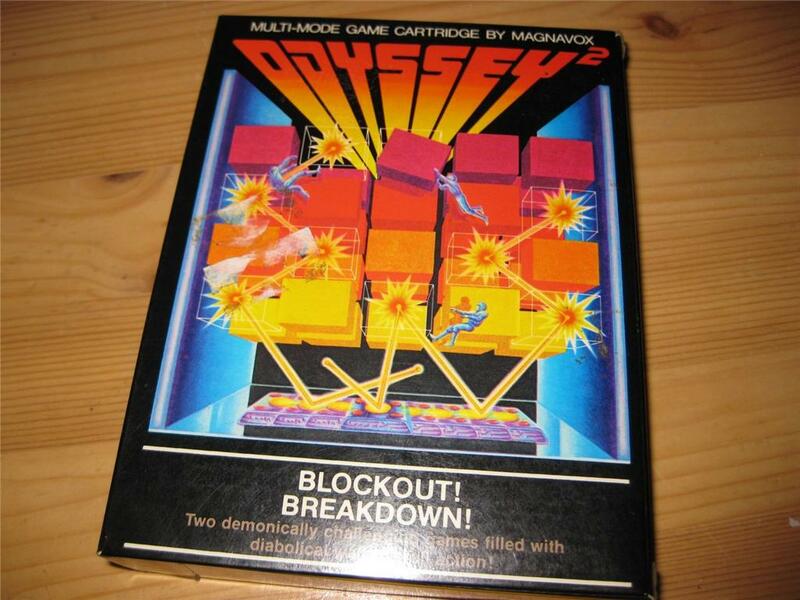 Who knows how long it sat there since there aren't a lot of people who collect Odyssey 2 stuff. So keep your eyes peeled. These treasures are everywhere. No, no, thank you! After all I've started keeping an eye on your quite brilliant auctions. Think you might start sending stuff worldwide? Man! No posts for a while and then BAM! A whole bunch of them! How awesome! I love this site and I'm glad your here. You make me smile every day! And at my job I need one! I hope that your PhD presentation was a smashing success!